Working with its network of clinics as well as a wide range of organizations, LIMBS provides a full leg system (LIMBox®) that is both affordable and high-quality. 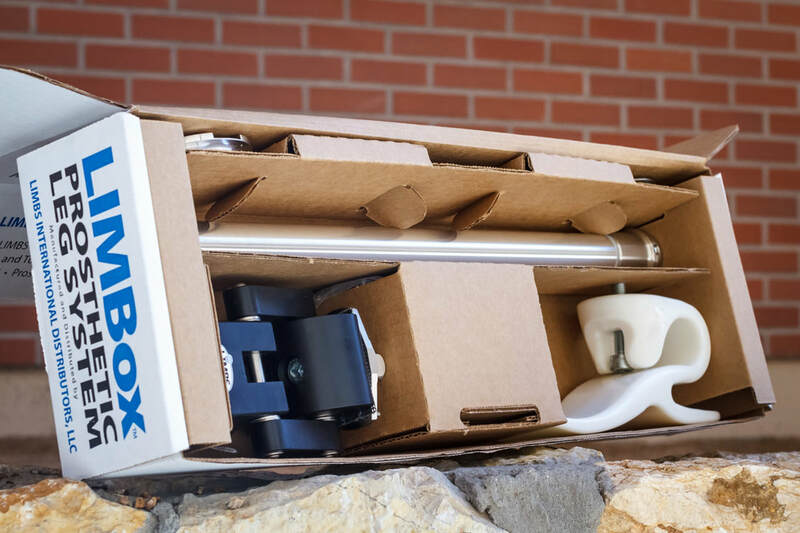 The LIMBox contains all the components needed to fit an amputee with a complete leg system (with the exception of the socket, which is custom-made for each amputee onsite). LIMBS distributes these boxes to its partner clinics and other NGOs around the world. The LIMBox costs less than a smartphone and provides a complete leg, rehabilitation, community and hope for the future. Change a life forever and sponsor a LIMBox for an amputee in need. By providing clinics with an all-in-one solution to their component needs, LIMBS has found a way to accelerate both its distribution and the fitting of amputees. The combination of the LIMBox and strong international partners provides LIMBS with both the resources and capacity to reach more amputees. The revolutionary LIMBox contains all the elements to fit an AK (above the knee) amputee (except for the socket which is created by an in-country prosthetist).